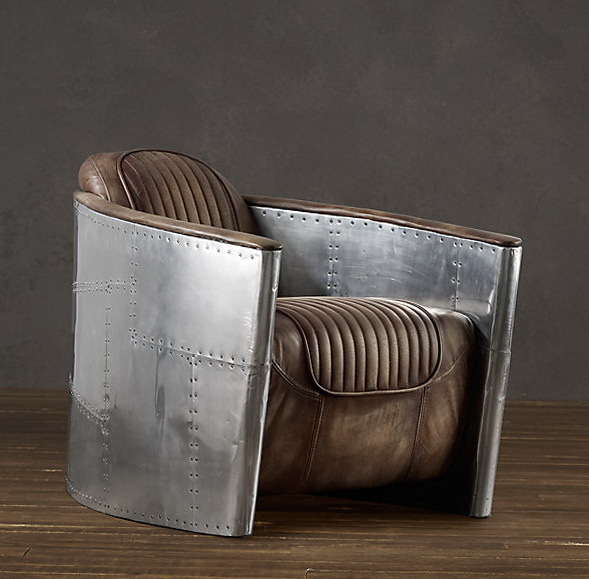 Their Aviator Swivel Chair is built out of sheets of aluminum with exposed screws with an aerodynamic feel just like fighter planes and bombers from World War II. 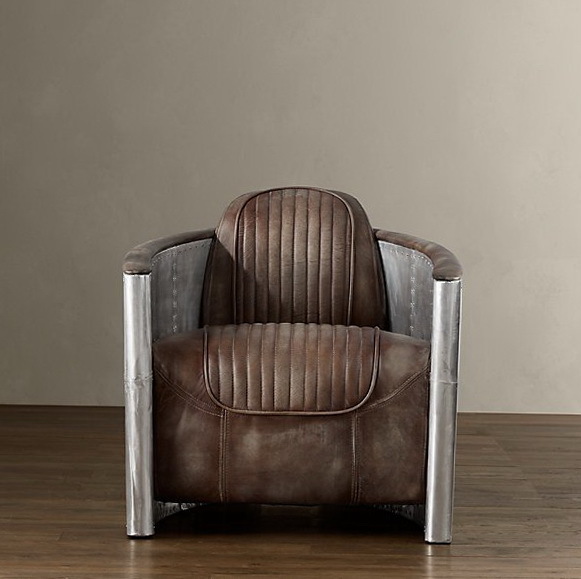 The seats are covered in distressed leather with the same finish and feel as the bomber jackets of the same era. The seats stitching and design comes from the same era. You have the feeling of stepping into a World War II bomber as you take a seat in the chair and swivel around to look at the room. 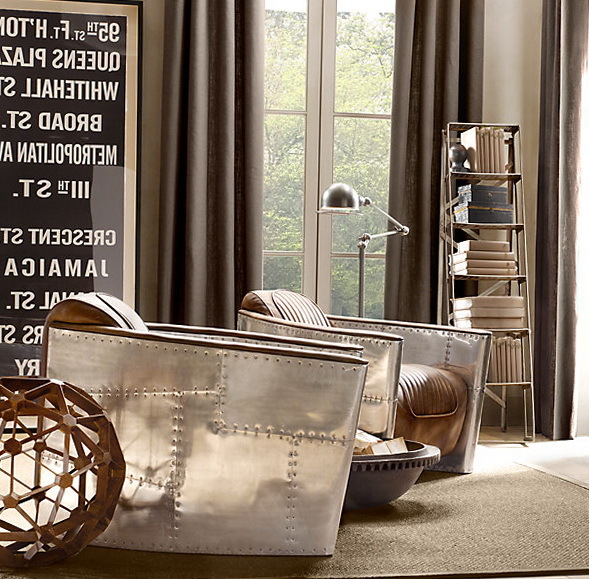 If you are wise, you will grab one of their matching Aviator Ottomans created with the same look and distressed leather. Aviator gear should look like it is ready to take flight, but just carry the name.